The word celebrity conjures up such a different meaning to me than it did ten years ago. Back then, I was lucky if we would see James Van Der Beek’s family at the movie theater in nearby town, Cheshire, and felt like we were the luckiest onlookers ever. Boy how things have changed. Over my career, I’ve been fortunate enough to mingle with the likes of Donny Osmond, Tom Cruise, Melania Trump, Howie Long, John O’Hurley, and the list could keep on going…. 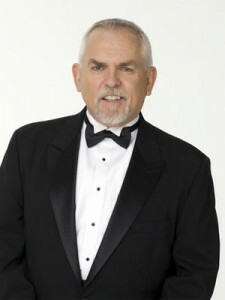 However, yesterday, I had the pleasure of spending about two hours with the most down-to-earth “celebrity” I’ve ever met, Cliff Claven… errrr, I mean John Ratzenberger. John walked into the office in a kinda wrinkled, kinda stylish jacket that was both too big and too small all at the same time. How refreshing it was to not see his stylist standing over his shoulder making sure the lint was all picked off his sleeves! We discussed everything from his pet charities to his time in London, and it seems like everything in between as well. It was the best two hours of the month- and that’s saying a lot since it’s been quite a month! We’re going to be working on some publicity projects together in the very near future and I’m genuinely excited to see where this business relationship takes us! After all, he is the sixth highest grossing actor of all time at the box office! And, did I mention he had one of the most stunning blonds I’ve ever seen on his arm? And I’m not sure which one of them I liked better since she was shares my love for antiquing and jewelry…. more on that to come!